Which Nintendo Switch Games Will Be Available At Launch? Here are all the titles we know you'll be able to play when you take your Nintendo Switch out of the box. Did you already preorder a Nintendo Switch or are you looking to do so? What games are you going to play on it? There are a few confirmed for the Switch's launch, but rather than have you chase that information all around the internet we've compiled a helpful list for you here. Here are all of the games confirmed for launch alongside the Nintendo Switch. When does the Switch launch? The Nintendo Switch has been confirmed to launch on March 3, 2017 with a price tag of $299. Which games are coming out for the Nintendo Switch at launch? So far, several games have been confirmed, though there are a scant few right now. This multiplayer-centric game will have players quick-drawing, competing in various minigames, and having fun without the aid of the Nintendo Switch's screen or television in some situations. Plus, you can take it with you on the go so the fun doesn't have to stop. It will take full advantage of the Joy-Con controllers and is meant for party play. 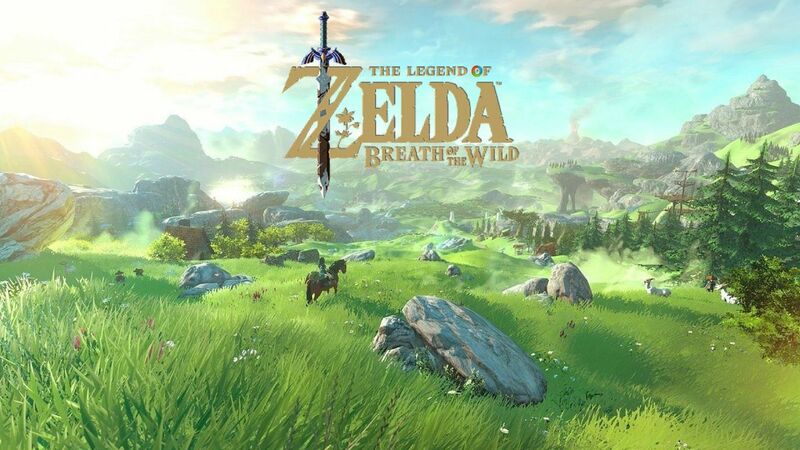 One of the most breathtaking entries in The Legend of Zelda yet, this sprawling adventure has finally been confirmed as a launch title. It will feature several new aspects and a new look for Link and Zelda as well. One of the most "imaginative" games from the Skylanders series is going to make its home on the Nintendo Switch. No additional details have been confirmed as far as what to expect from the new version of the game other than the fact that it will include new characters and a set of new content to revitalize the brand for those who already played it on its debut. The long-running dance game will make its home on the Nintendo Switch with a new list of songs, new ways to dance and interact, and plenty more reasons to get up off the couch and shake that groove thing. It will include over 40 tracks and will support up to six players at the same time utilizing a Joy-Con controller or via the Just Dance Controller app. That's right, Konami is bringing Bomberman back with a physical and digital release of Super Bomberman R for the Switch. It will include a Story Mode with over 50 new stages, Battle mode for up to 8 players, and a host of familiar Bomberman characters in a brand new environment. This page will be updated as additional games are announced as launch titles for the Nintendo Switch. In the meantime, check out how you can preorder one of the systems right now so you can get ahead of the curve.